Recently fan-girling Olivia Culpo and her perfect bob-cut, I decided to go to the chopping block and take a risk. Initially going for more of a lob, my Mom convinced me that if I’m going to go “short”, then I should really go short — *Mother knows best*. 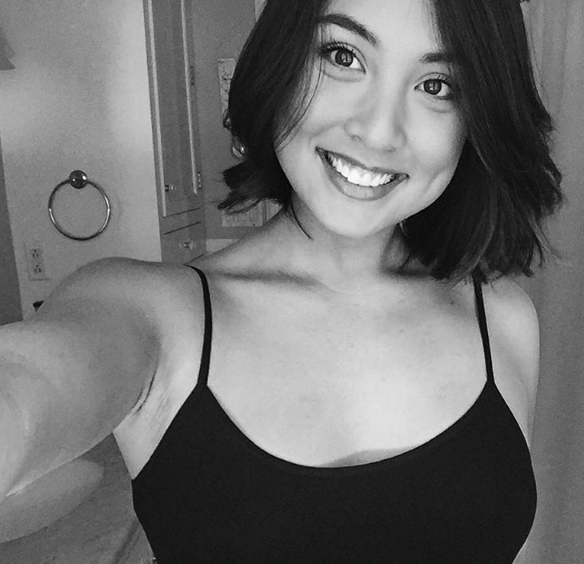 For a long time, the thought of letting go of my hair length was literally just that — a thought that would most likely never become a reality. However, going for a mid-neck length has been the best hair decision I’ve made in a longgggg time. This bob length has elongated my neck, is super easy to maintain/style and my hair has actually never felt healthier. To achieve (what I would like to believe is) the infamous #CulpoBob, I wanted to share a few styling tips and tricks that have worked well for me! Unless I’m using a hot tool (1/1.5 inch barrel, for instance), styling my hair takes at MOST 7 minutes now. I know… Amazing. 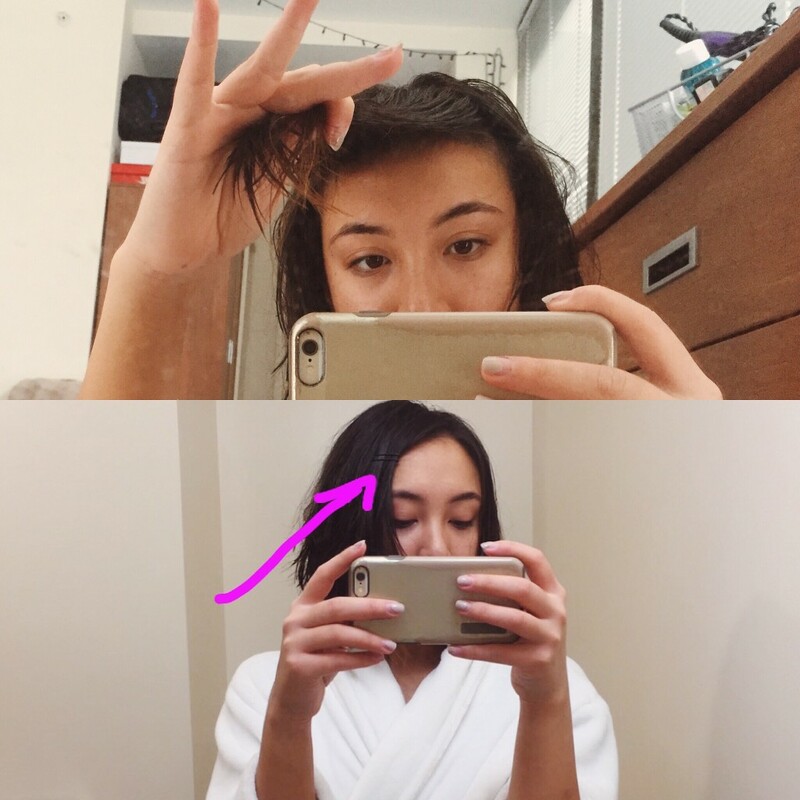 In general, I’m not too crazy about super done-up hairstyles — I’m all about the natural, tousled, undone look. 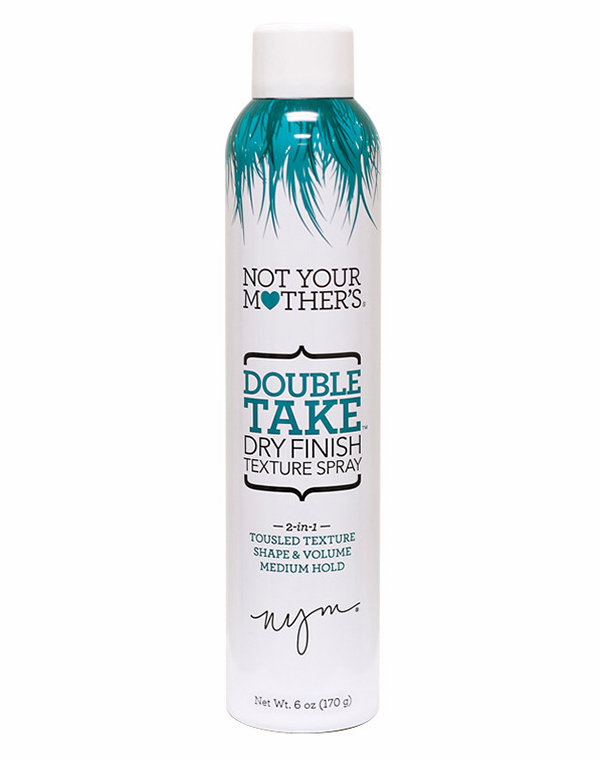 For my bob, I have religiously used Not Your Mother’s Double Take Dry Finish Texture Spray and Way to Grow Leave-In Conditioner (major NYM fan — read why here). After my hair has been washed and lightly towel-dried, I generously spray NYM‘s Leave-In Conditioner all over my hair. I then bring the front sections of my hair in front of my face, and blow-dry the hair from eyebrow level to my scalp. This trick has worked great for me when it comes to masking a five-head — there is an answer for everything!! Since I look to achieve more of a “messy” look, I let the rest of my hair air dry. After adjusting the hair to my desired part, I clip both sides of my hair as a way of training it. I then leave the clips in until my hair has completely dried, or when I’m ready to head out. During the air-drying process, I’ll give my hair a scrunch here and there to help create a natural, subtle wave. Texturizing spray (IMO) is #key for any lob or bob. I think it creates great shape and volume for the hair. While I use NYM’s texturizing spray, there are so many texturizing sprays out there — it all really depends on your preference. NOW, if you have super-straight hair, or want to create more of a done-up/wavy look, I’ve found great success using a 1/1.5 inch curling iron. Again, it’s all about preference, but I do feel this sized barrel is great for creating perfectly balanced curls. If you aren’t too familiar/comfortable with curling your hair, YouTube has trillions of how-to videos (which is how I learned to do my own)! This video is one of many that’s relatively simple and easy to follow. After the iron has heated up, I alternate the curls (going towards and away from my face) to create volume/texture — the front parts of the hair I typically keep the curl going away from my face. If I feel like the curls are a little too tight, I’ll take a damp brush and run it through my hair. That might sound as if I completely defeated the purpose of curling my hair to begin with, but this technique has yet to fail me. Note: This post is not sponsored. All thoughts are unbiased, and my own.